Births, christenings, communions, bar mitzvahs, birthdays, baby showers, family dinners – whatever the event, your ideas and the number of guests, Monte-Carlo Société des Bains de Mer offers you the perfect setting in which to celebrate. 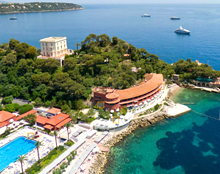 With its sun-drenched bay, Michelin-starred restaurants, casinos and spas, Monaco embodies a certain way of life !, and the perfect setting in which to hold your events, parties and nights out. Our private rooms, reception spaces, terraces and gardens as well as bedrooms and suites will tick all your boxes and those of your guests. Whatever your plans, we’ll help you put together an event that reflects who you are and mirrors your traditions and tastes. Festivities are an art form here. Whether an intimate or glamorous feel, Belle Époque or contemporary decor, cozy or classical atmosphere, from a glass of champagne with friends under a star-studded sky to dinner in the most exclusive restaurants or an endless night on the dance floor with your guests… Everything is possible and executed to ensure you leave with your heart and mind filled with emotion. 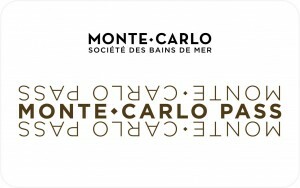 Monte-Carlo Société des Bains de Mer offers you a unique service to bring every idea to life, from start to finish. Whether you envisage hiring a club like Jimmy’z Monte-Carlo to indulge in a night of festivities, organizing a cocktail buffet around the Monte-Carlo Bay Hotel & Resort’s sand-bottomed lagoon or spending an unforgettable evening in the intimate setting of the La Vigie restaurant: our teams are on-hand to discuss setting the stage for your dream party, taking care of every last detail. All that’s left to be done is to kick back and enjoy this exceptional evening with your guests, and to let the moment carry you away.